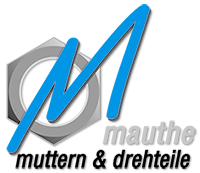 Thank you for visiting our website www.mauthe-drehteile.de and for your interest in our company. The protection of your personal data is very important to us. Personal data is information concerning personal or material circumstances of an identified or identifiable natural person. This includes, e.g. name, address, telephone number and date of birth, as well as all other data which can be linked to an identifiable person. Since personal data is afforded particular legal protection, it is collected by us only insofar as this is required for the provision of our website and the rendering of our service. We will outline below what personal information we collect during your visit to our website and how we use it. Our data protection practice complies with legal regulations, in particular with those of the Federal Data Protection Act (BDSG), the German Telemedia Act (TMG) and the EU General Data Protection Regulation (GDPR). We will collect, process and store your personal data exclusively insofar as this is required for the functional provision of this website and our content and services, as well as to process requests and manage orders/contracts, but only insofar as there is a legitimate interest within the meaning of Art. 6 Paragraph 1 Clause 1 f GDPR or if other such justification exists. Your data is used only when you have previously and separately granted your consent for further purposes precisely determined in the consent, e.g. for sending promotional information by newsletter. (5) Websites and resources (images, files, additional site content) which have been accessed on our website. This data is stored in the log files of our system. This data is not stored together with personal data of a specific user, therefore individual website visitors are not identified. Art. 6 Paragraph 1 f GDPR (legitimate interest). Our legitimate interest is ensuring the purpose outlined above is fulfilled. Logging takes place to maintain the compatibility of our website for all visitors as far as possible and to combat misuse and to fix interruptions. To this end, it is necessary to log the technical data of the requesting computer in order to be able to respond as quickly as possible to display errors, attacks on our IT systems and/or faults in the functionality of our website. The data is also used by us to optimise the website and to generally ensure the security of our IT systems. The deletion of the aforementioned technical data takes place as soon as it is no longer required to ensure the compatibility of the website for all visitors, but at the latest 3 months following access of the website. The options to object and rectify are based on the general regulations outlined below in this data privacy statement concerning the right to object and request deletion under data protection law. Insofar as we make advance delivery, we reserve the right to obtain an automatic credit check based on mathematical-statistical methods from the following company(ies) in order to safeguard our legitimate interests. We obtain information concerning the statistical probability of a payment default from the service providers mentioned below. The credit check may contain probability values (score values) which are calculated based on scientifically recognised mathematical-statistical methods. In this case, a conclusion can be reached concerning the future payment default risk of the customer by means of a variety of properties such as income, address data, profession, marital status and previous payment history. The result is expressed in the form of a credit value (so-called score). The information obtained in this manner is the basis for our decision concerning the establishment, execution or termination of a contractual relationship. The option of one of the offered payment methods is, however, not dependent upon such information. The options to object and rectify are based on the general regulations outlined below in this data privacy statement concerning the right to object and request deletion under data protection law. Creditreform Reutlingen Degner KG is a consumer credit agency. It operates a database in which credit check information on private individuals is stored. On this basis, Creditreform Reutlingen Degner KG provides credit check information to its customers. Customers include, for example, credit institutions, leasing companies, insurance companies, telecommunications companies, companies of receivables management, shipping, wholesale and retail businesses and other companies who deliver goods or render services. Within the meaning of the legal provisions, a part of the data present in the information database is also used for the supply of other company databases, this includes addresses for commercial purposes. In particular, the Creditreform Reutlingen Degner KG database stores information concerning the name, address, date of birth, email address if relevant, payment history and shareholding interests of an individual. The purpose of the processing of the stored data is to grant information concerning the creditworthiness of the requested individual. The legal basis for the processing is Art. 6 Paragraph 1 f EU GDPR. Information concerning this data may therefore only be granted when a customer credibly states a legitimate interest in requesting this information. Insofar as data is transmitted to states outside of the EU, this takes place based on so-called standard contractual clauses which you can view and download via the following link: https://eur-lex.europa.eu/legal-content/en/TXT/?uri=CELEX%3A32010D0087.The data is stored for as long as the information is necessary to fulfil the purpose of the storage. As a rule, the information is required to be stored for an initial period of 3 years. After this period, it is checked whether storage is still necessary, otherwise the data is deleted the same day. In the event of an issue being resolved, the data is deleted three years to the day following resolution. Debtor record entries are deleted three years to the day of the entry order according to Section 882 e Civil Code of Procedure (ZPO). Legitimate interests within the meaning of Art. 6 Paragraph 1 f EU GDPR may include: credit decisions, initiation of transactions, shareholding interests, claims, credit checks, insurance contracts and enforcement information. You have a right to request information regarding any personal data referring to you that is stored by Creditreform Reutlingen Degner KG. Insofar as the data stored about you is inaccurate, you have a right to rectification or deletion. If it cannot be immediately determined whether or not the data is inaccurate, you have a right to the locking of the respective data until clarification is provided. If your data is incomplete, you may request its completion. Insofar as you have given your consent to the processing of the data stored by Creditreform Reutlingen Degner KG, you have the right to revoke this consent at any time. By revoking, the legality of the processing of your data carried out based on your consent up to revocation is not affected. If you have objections, requests or complaints concerning data protection, you can contact the data protection officer of Creditreform Reutlingen Degner KG at any time. They will be able to quickly and confidentially help you further with all queries on data protection. You can also lodge a complaint concerning the processing of the data by Creditreform Reutlingen Degner KG with the state officer for data protection responsible for your federal state. The data stored by Creditreform Reutlingen Degner KG about you originates from publicly-accessible sources, from debt collection companies and from their customers. In order to outline your credit status, Creditreform Reutlingen Degner KG creates a credit score for your data. Data on age and gender, address data and to some extent payment record data, contributes to the credit score. This data goes into the credit score calculation with different weighting. Creditreform Reutlingen Degner KG customers use the credit scores as a tool when carrying out their own credit decisions. Right to object: the processing of the data stored by Creditreform Reutlingen Degner KG takes place for compelling reasons of creditor and credit protection which regularly override your interests, rights and freedoms and serve to assert, exercise or defend legal claims. Only in the case of reasons resulting from exceptional circumstances and which must be proven, can you object to the processing of your data. If such particular reasons are demonstrably given, the data will no longer be processed. If you object to the processing of your data for advertising and marketing purposes, the data will no longer be processed for these purposes. The controller within the meaning of Art. 4 No. 7 EU GDPR is Creditreform Reutlingen Degner KG, 72770 Reutlingen (www.creditreform-reutlingen.de). You can reach us for any questions in this regard using the following contact information Tel: + 49 7121 9509-0, Email: ed.mr1555640777ofert1555640777iderc1555640777.negn1555640777iltue1555640777r@ofn1555640777i1555640777. You can reach the responsible data protection officer using the following contact information: Creditreform Reutlingen Degner KG, 72770 Reutlingen, ed.mr1555640777ofert1555640777iderc1555640777.negn1555640777iltue1555640777r@ofn1555640777i1555640777. A webservice from the company, Google Ireland Limited, Gordon House, Barrow Street, Dublin 4, Irland (hereinafter: Google) is loaded on our website. We use this data to ensure the full functionality of our website. In this context, your browser will transmit personal data to Google. The legal basis for the data processing is Art. 6 Paragraph 1 f GDPR. The legitimate interest is the seamless functioning of the website. Google has certified itself in the context of the EU US Privacy Shield Agreement (see https://www.privacyshield.gov.list). The deletion of the data takes place as soon as the purpose of its collection has been fulfilled. Further information on the handling of the transferred data can be found in the Google data privacy statement: https://www.google.com/intl/de/policies/pivacy/. You can prevent Google’s collection and processing of your data by deactivating the execution of script code in your browser or installing a script blocker in your browser (you can find these e.g. on www.noscript.net or www.ghostery.com). https://www.google.com/intl/de/policies/pivacy/. You can prevent Google’s collection and processing of your data by deactivating the execution of script code in your browser or installing a script blocker in your browser (you can find these e.g. on www.noscript.net or www.ghostery.com). Art. 6 Paragraph 1 f GDPR (legitimate interest). Our legitimate interest is to maintain the full functionality of our website, to increase operability and to allow a more tailored customer approach. It is only possible for us to identify individual website visitors with the aid of cookie technology if the website visitor has provided corresponding personal data to us previously based on a separate consent. The cookies are set by our website in order to obtain the full functionality of our website and to improve operability. Cookie technology also allows us to recognise individual visitors again by pseudonyms, e.g. an individual ID that allows us to provide more tailored services. The cookies are stored until they are deleted in your browser, or in the case of session cookies until the session has expired. Your personal data is protected by technical and organisational measures in the case of collection, storage and processing so that it is not accessible to third parties. In the case of unencrypted communication by email, complete data security on the transmission path to our IT systems cannot be ensured by us, therefore we recommend an encrypted means of communication or sending highly confidential information by post.